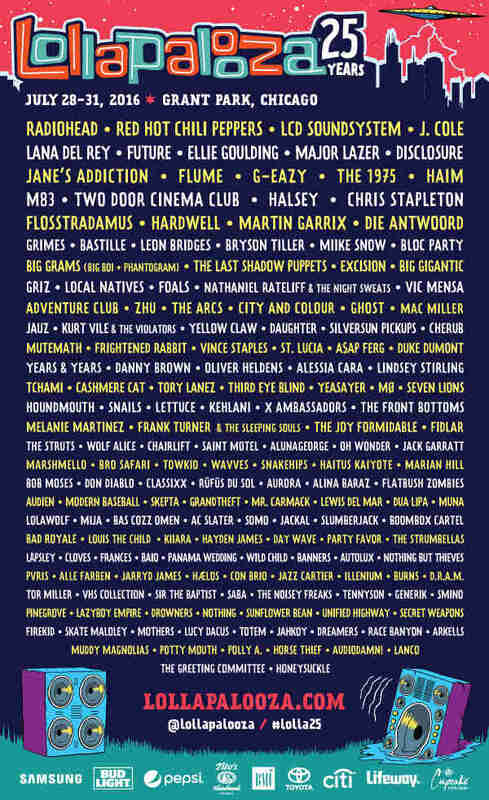 The official Lollapalooza 2016 lineup just dropped this morning, and well, let's just say the festival's 25th anniversary will be one helluva party in Grant Park. 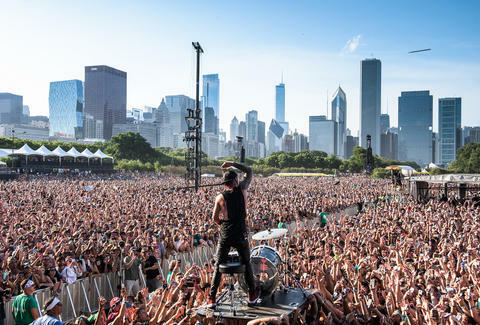 The extended 4-day show will feature headliners like Radiohead, Red Hot Chili Peppers, LCD Soundsystem, Lana Del Rey, and others -- along with basically a zillion other acts that will (literally) tear up Chicago's front lawn July 28th through July 31st. While this year's batch of 4-day general admission passes sold out on Tuesday, Lollapalooza said it will start selling single day general admission tickets for $120 starting today at 10am CT, according to a press release. Of course, more expensive VIP ticket packages are also available. Check out the full lineup poster below, and if you want to start mapping out your weekend now, Lollapalooza has also posted the daily lineup schedules right here. Tony Merevick is Cities News Editor at Thrillist and basically started his career in journalism covering Lollapalooza when he was 15. Send news tips to news@thrillist.com and follow him on Twitter @tonymerevick.